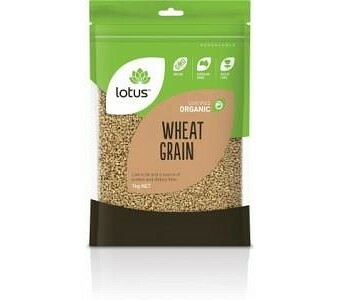 Lotus Organic Wheat Grain is low in fat and a good source of protein and dietary fibre. Use in salads, or whole or milled in baking. Ingredients: Organic Wheat Grain.